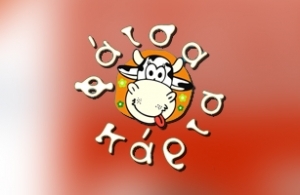 ‘Fatsa Karta’ is a brand of chain stores in Greece. The stores wanted not only to generate buzz around their unique products on Facebook but also increase the spreadability of their website and fan page along with the brand. They came up with the idea of Seasonal FB Application, launching the fan page of chain stores ‘Fatsa Karta’ in Greece. They trusted intros.gr for the implementation of their idea. We designed and developed a Seasonal Facebook Application through out Ferbuary of 2010. We created a fun, simple, inspired and user oriented FB application, matching the needs of our client and the target group of the brand. The application asked users to select one out of three hearts in order to win a desinger's watch. Just before the outcome of their choice, the application was generating an automated message announcing the participation of user in the contest. This message had to be shared with the user's friends. If the choice was wrong the application encourage the user to retry. In case of a correct choice, the application informed the winner that the company would be in touch for the delivery of the present. As a result of this competition, over the course of the one week of competition we accomplished extreme spreadability, by reaching, from 0 visitors, to over 900 users liking the fan page, and over 250,000 becoming friends and followers of the brand. The percentage of incoming fans and friends raised over 500% and the weekly total reach over 300%. It is quite obvious, that facebook applications can give companies a great publicity and an increase of potential customers and sales. In intros.gr, we believe that neither the design and develompent, nor the cost of facebook applications, should be an obstacle to company's growth. We have the knowledge, experience and technology, to help you implement any of your ideas. We are here to help you! Do not hesitate to contact us in order to discuss the ways of cooperation.